FactoryMark™ Industrial paint marker, registered by﻿ SERMATEK as a Turkish Brand Name, in line with the demands of the domestic and foreign automotive companies established in Turkey in order to meet the needs of our domestic and foreign companies is our hand-held color marking product which we export in addition to the sales made to our domestic companies in Turkey. 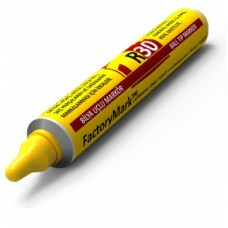 FactoryMark™ S20 Industrial paint markers are color paint markers designed for marking industrial products such as plastic, metal, glass, ceramic etc., with very high durability, drying very fast in paint marking application, not fading in any way due to weather conditions and not cracking and peeling, having almost double coating volume compared to their competitors with 13cm3 and having acrylic tips designed in both chisel and bullet form. 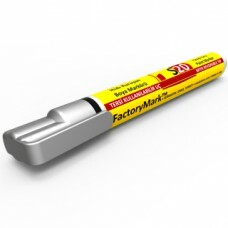 Each marker has an air-tight cover that reflects the color of the marking paint it has. These markers do not contain any XYLENE and do not constitute a negative situation in terms of occupational health and safety. Again, FactoryMark™ S20 paint marker containing 13cm3 marking paint with a fine aluminum paint marker tube container is the same as the containers of plastic paint markers with 7-8cm3 volume. Compared with 7-8cm3 paint markers with a one-sided acrylic tip at the diameter of 3mm, our 13cm3 FactoryMark™ S20 models have a durability greater than the life cycle of the workpiece and are mainly preferred by the quality and manufacturing people. 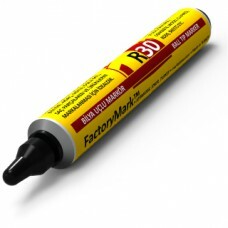 ﻿FactoryMark R30 is designed especially for marking very rough surfaces such as asphalt, wood lumber, metal billets, steel profiles, rusty metal surfaces, concrete surfaces, and it has a color mark with a thickness of 3mm and a volume of 60ml. 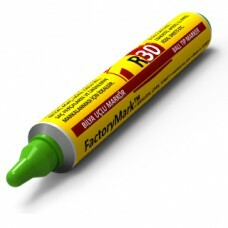 Compared to its most competitors in toothpaste form, ﻿FactoryMark R30 container has roughly twice as much volume. Each marker has an air-tight cover that reflects the color of the marking paint it has. 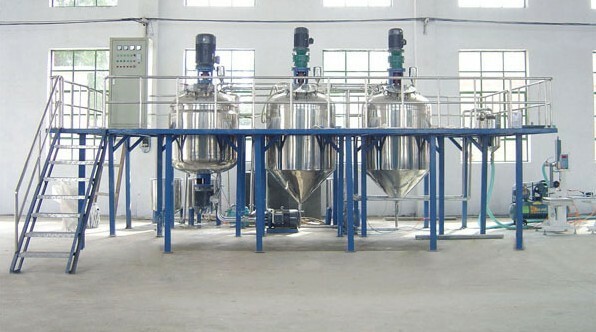 At the back of these markers, there are silicon finger pumps. With the help of thumbs pumping, the paint in the form of toothpaste stuck in the inner part of the tube and any workpiece will be marked with the ballpoint pressed against itself and dispensed marking paint. Again, our R30 paint marker with a 60cm3 marking paint in the thin aluminum tube container is nearly twice as much advantageous as the ball-point paint marker in the toothpaste form which appears to be at the same length while it is 30cm3 though. 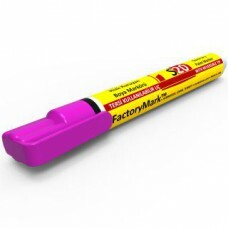 The FactoryMark™ S20 13cm³ Permanent Black Paint Mar.. 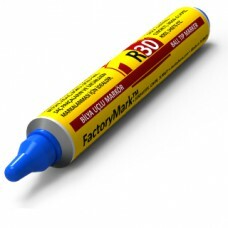 The FactoryMark™ S20 13cm³ Permanent Blue Paint.. The FactoryMark™ S20 13cm³ Permanent Brown Paint Mar.. The FactoryMark™ S20 13cm³ Permanent Gray Paint.. The FactoryMark™ S20 13cm³ Permanent Green Pain.. 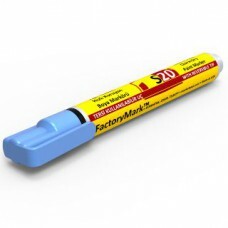 The FactoryMark™ S20 13cm³ Permanent Light Blue .. 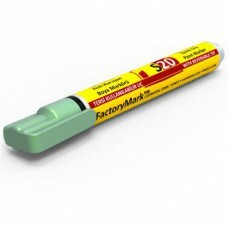 The FactoryMark™ S20 13cm³ Permanent Light Green Pai.. 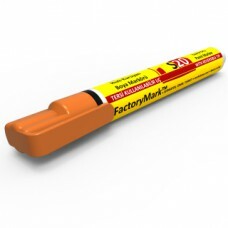 The FactoryMark™ S20 13cm³ Permanent Orange Pai.. The FactoryMark™ S20 13cm³ Permanent Pink Paint..